The title of Shashi Tharoor’s new book, Pax Indica: India and the World of the 21st Century, can mislead an unwary reader. The book does not offer a blueprint for India’s rise to imperial status in the current century. A more modest role is envisaged for India, that of helping to define the norms of tomorrow’s new networked world, write the rules and have a voice in their application. But the book is not really about this either. It is more an overview of India’s relations with its neighbours, South- East Asia, China, the US, the Arab countries, Africa, Europe, and Latin America, with separate chapters on India and the UN and Soft Power and Public Diplomacy, and a final chapter on Multi-Alignment as a “Grand Strategy” for India in the decades ahead. The new norms and rules that India would work on, how they would be different from the ones that the West considers universal, and the means India will deploy to achieve success are not spelt out in the book. In actual fact, the author believes that the world having been made “safe of democracy”, India’s vocation should be the promotion of democracy and human rights worldwide along with “major allies” like the US. This suggests adjusting to Western norms more than redefining them, which is in fact what the West expects of others. The reader would have greater than usual interest in Tharoor’s latest book because he would be writing from a double perspective – that of his long experience in international diplomacy as a UN civil servant and a brief exposure at the political level to India’s foreign-policymaking as a junior Minister in the Ministry of External Affairs (MEA). However, rather than this double experience combining to give more cohesion to his analysis of India’s foreign policy in the current century, it produces some inconsistencies. When the IOC-ARC meets, new windows are opened between countries separated by distance as well as politics. Malaysians talk with Mauritians, Arabs with Australians, South Africans with Sri Lankans, Iranians with Indonesians. The India Ocean serves as both a sea separating them and a bridge binding them together. Doesn’t the UN at New York do all this too? Some other inconsistencies in the book probably derive from the author’s reluctance as a former Minister and Congress Member of Parliament to criticize the government’s policies. Tharoor’s analysis of the roots of Pakistan’s deep-seated hostility towards India is most perspicacious and hard-headed, but even as the reader is being convinced that Pakistan cannot be trusted and dialoguing with it would not be productive, the author dutifully purveys all the contestable arguments of the government to justify resuming the dialogue, adding some jejune ones of his own, such as “what we say when we talk that will make the difference” and that a dialogue allows India to make clear to Pakistan “its bottom lines and minimum standards of civilized conduct”. He is very dismissive about the India-Pakistan Track-2 dialogues, but slips into candlelight phraseology in advocating a show of “magnanimity and generosity of spirit that in itself stands an outside chance of persuading Pakistanis to rethink their attitude to us”. Homilies such as “To acknowledge that trust does not exist right now, however, is not to suggest that trust can never be built” and that “The time has come ... for the victims of geography to make history” cannot be the basis of serious policy. He does not explain how but wants “New Delhi to do its best to ensure that the Islamabad establishment abandons the conviction that terrorism is the only effective instrument that obliges India to sit up and pay attention to Pakistan and engage with its interests”. Rather surprisingly for a UN hand, he believes India can have sanctions imposed on Pakistan under UN Chapter VII resolutions on terrorism, overlooking that the US, despite serious Pakistani provocations, has not used this instrument against Pakistan and any action in the UN Security Council will need US and Chinese assent. The author is right to affirm that India is no longer in the same league as China economically, but some of his other views on India-China relations are debatable. He seems to believe, without any apparent basis, that India has a genuine strategic partnership with China and that this relationship has broadened to include “the wider civil society in both nations”. His view that Chinese and Indian economies are complementary will be contested by those who argue that the relationship has become colonial-like in structure – export of raw materials versus import of manufactured goods. He visualizes India- China cooperation on nuclear disarmament when China refuses to hold nuclear parleys with India because it does not consider the latter a nuclear power. His repeated assertions that China and India have a common interest in keeping sea lanes open overlook India’s strategic concerns about China’s increased presence in the Indian Ocean and the South China Sea imbroglio. The author is absolutely right about enhancing relations between India and Taiwan. The chapter on the US is a mixture of several sharp insights and questionable assumptions. At one point the author notes Obama’s “substantive assurance” of support for India’s permanent membership of the Security Council and at another he characterizes it as “largely symbolic” and a “rhetorical flourish”. (In the chapter on the UN and global commons he gives an excellent analysis of the issues involved in expanding the Security Council in both permanent and non-permanent categories.) How the two countries can cooperate to counter nuclear proliferation is not explained. To say that there is no real clash between India and the US on “geopolitical fundamentals” is exaggerating the degree of convergence. It is debatable whether the relationship with India is going to be as important to American security as that with Europe once was. India and the US, the author says, “share a responsibility for preserving a rule-based open and democratic order” and the global commons, without clarifying the nature of this responsibility and who would define it because India itself has not done it so far. His belief that India and the US as the two principal democracies have special interests and responsibilities exaggerates India’s willingness to assume such a global role and overlooks the United States’ historical and continuing courting of authoritarian states in its larger national interest. Tharoor rightly underlines the importance of India’s relations with the Arab world because of critical energy, trade, human resources and remittance links. But to say that the centuries-old India-Arab links have given the peoples on the two sides “a similarity of perceptions and cultural mores” is an obvious exaggeration, as is the assertion that “our geopolitical aspirations are entirely compatible”. On Iran, the Shia-Sunni issue, and the role of Saudi Arabia and Qatar in Libya and Syria this is not true. That Iran has been a “kindred spirit of India” on Pakistan, that it is a “friend at Court” in the Islamic world and that it considers India a useful source of “high technology” is not supported by facts. India and Africa have been close to each other for so many centuries that our relationship is not one of immediate give and take but has been that of a family where each one provides the best advice, the best support and the best sharing of experience, so that when we walk the same path, we learn from each other and do not make the same mistakes. 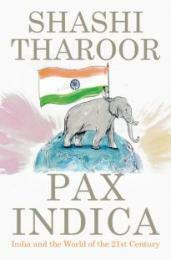 Tharoor exaggerates the impact of India’s soft power on the current century, using mellifluous prose to make his point. While India’s democracy and pluralism, its composite culture, management of diversity, Bollywood et al. earn it respect, how can India be the “land of the better story” globally with its dysfunctional democracy, poor governance, abysmal levels of poverty, low human welfare indices, urban decay, lack of sanitation, etc.? On page 410 he himself lists India’s dramatic underperformance in many areas. Tharoor ignores the hard-power foundation of soft power acknowledged by Robert Nye, the originator of the concept of “soft power”. The author’s views on the MEA, which he mockingly calls the Ministry of Eternal Affairs, are unflattering. The well-known shortcomings of the Ministry which he lists – to which international attention has been drawn by a US researcher – cannot be denied. While the Ministry is manifestly understaffed, mid-level lateral entry on a large scale is not an answer. Where will competent mid-level recruits come from? A successful remodelling of the MEA has to be part of an overall administrative services reform. The author explains well the ineffectual role of Parliament in foreign affairs and he is right about the centralization of foreign policy decisions on important issues in the PMO. Not surprisingly, Tharoor deplores the non-aligned phase of India’s foreign policy. In his view, Indian diplomacy is concerned more with principles than interests, privileging intellect over interest and process over outcome, but he does not give any example to sustain this sweeping generalization. He wants India to adopt a gentler and more accommodative tone on the multilateral high table, an advice that would not appeal to those who recall the hectoring of India during the CTBT negotiations and have heard the rantings of some Ambassadors in the Security Council on Libya, Iran and Syria. Tharoor’s version of India’s “grand strategy” would see us in the US-led camp of liberal democracies besieged by Islamist terrorism and Chinese authoritarianism, forgetting that it is the US that has propped Islamism and China in the first place. He wants India to “be true to its soul in the multilateral arena” and espouse vigorously the “Community of Democracies”, though this would require reconciliation with the rationale of India’s adherence to political groups like RIC (Russia-India-China) and BRICS. 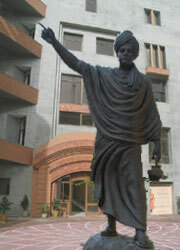 Tharoor is wary of multipolarity; but multi-alignment, which he strongly recommends as the axis of India’s future foreign policy, presupposes a diffusion of power within the international system and recognition that in the absence of an international consensus on the promotion of the Western agenda of democracy and human rights, which many countries see as selective and geopolitically driven, India has to maintain a balance between different approaches to such fundamental issues as respect for sovereignty, non-interference in internal affairs, regime change policies and concepts like the right to intervene and protect. Tharoor decries the fact that India’s “old obsession with strategic autonomy remains”. In his view, “strategic autonomy is all very well, but it cannot be the be-all and end-all of India’s attitude to the world”. While he cautions against antagonizing the US for maintaining energy supplies from Iran, he affirms somewhat inconsistently that “no power on earth can presume to dictate to India on any international issue”. India has “more in common with the countries of the North than the global South”, he says, contradicting his own paeans to BIMSTEC, IOR-ARC, IBSA and relations with Africa, the Arab world, Latin America, India’s neighbours, and, to boot, East Timor. In virtually every chapter Tharoor quotes extensively David Malone (seventeen times), a former Canadian envoy to India, to buttress his views. His “internationalism” probably explains the need for such external endorsement of his thinking on key facets of India’s foreign policy.